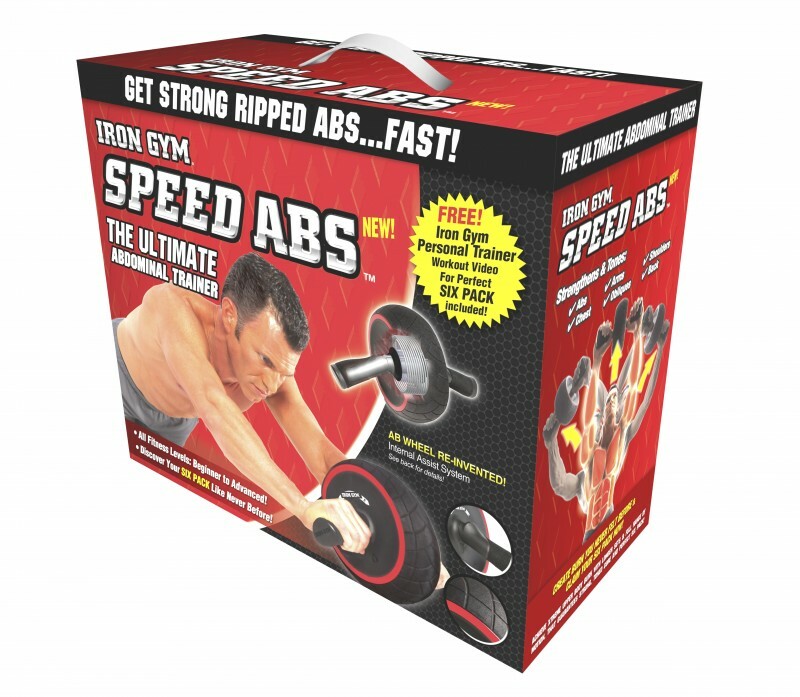 Speed Abs by IRON GYM® is the fastest way to transform your floor into the ultimate workout platform for strong, ripped abs! Speed AbsTM lets you do all of the exercises you need to get a ripped six-pack, powerful core, chiseled shoulders, bulging biceps, carved triceps, increased endurance and a supercharged metabolism! 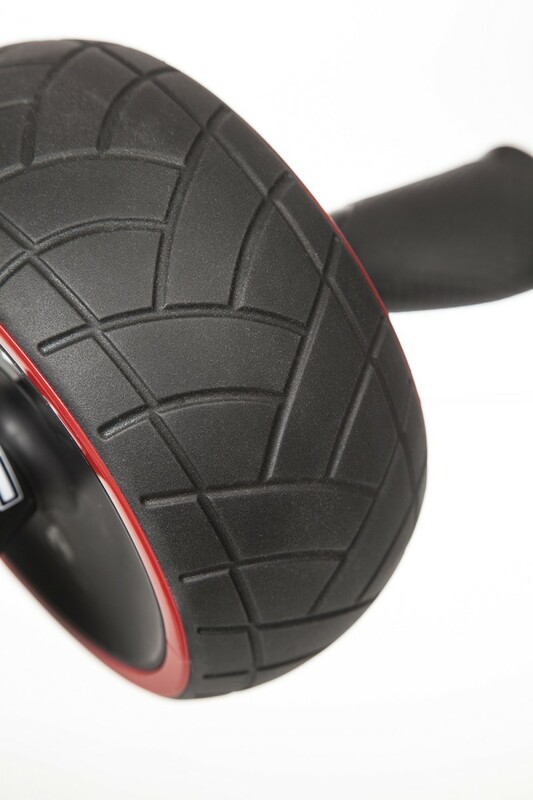 Internal Assist System provides superior resistance (as you roll out) and assistance (as you roll in), for longer sets and full range of motion with every rep. 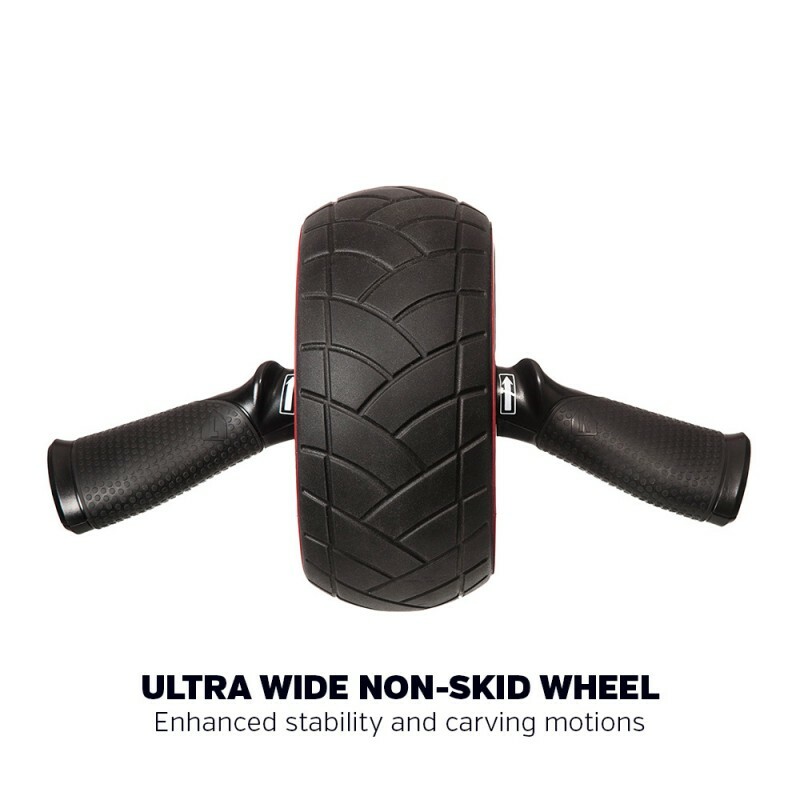 The durable, ultra wide non-skid wheel with Internal Assist System provides enhanced resistance as you extend and roll out to take your abdominal exercises to the extreme, then helps guide and assist you back in a fluid, controlled manner so you really feel the burn! 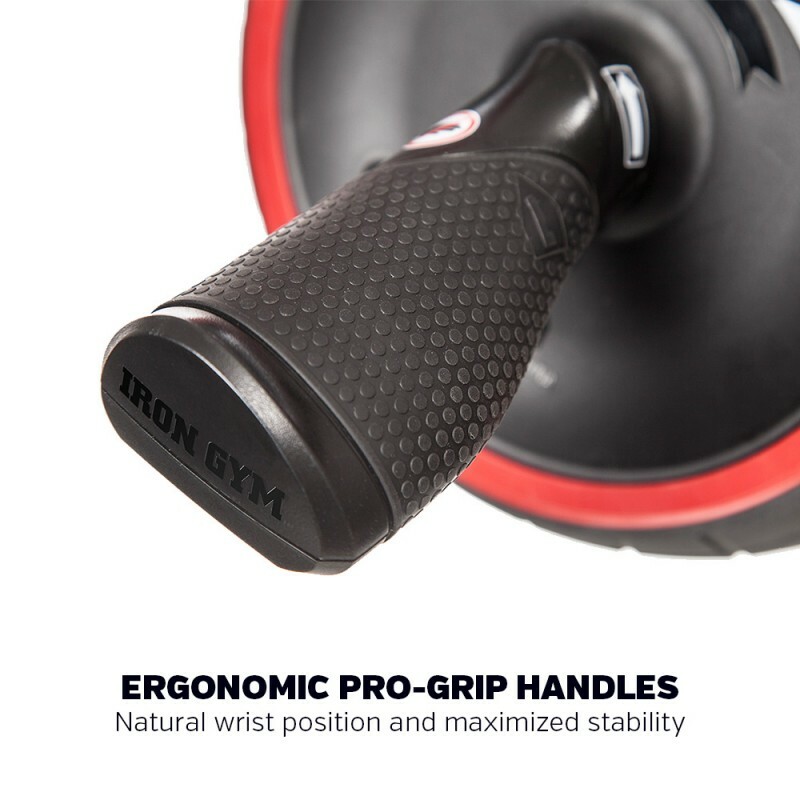 Pro-grip handles' featuring special high performance ergonomic, rubberized design that helps minimize hand fatigue by keeping you in your natural position and prevent slippage while maximizing stability, control and comfort so you can optimize your workout and go for longer! 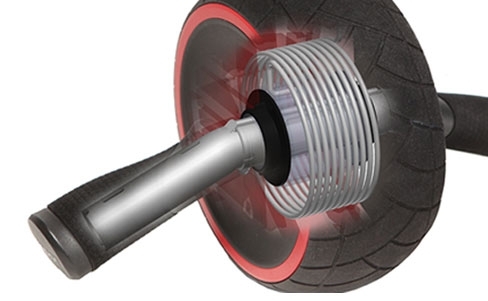 Building a strong and stable core helps you in all your physical activities and it helps decrease your risk of injuries. The Speed Abs by IRON GYM is super effective in strengthening your core, not only because it targets your abs, but also because it works the muscles of your lower back, shoulder and arms. Your spine maintains its perfect position when your core muscles are well-balanced. 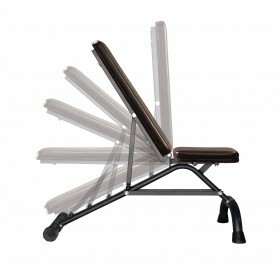 This gives you good posture and provides a solid basis for the rest of your muscles and body movements. It helps to prevent lower back pain as well as improves sports performance and every day movements. When you exercise with Speed Abs, you have to support your whole body weight while you roll, this forces your core muscles to work together and contract as a group, whereas exercises that target only your abs or your back may result in a core muscular imbalance. 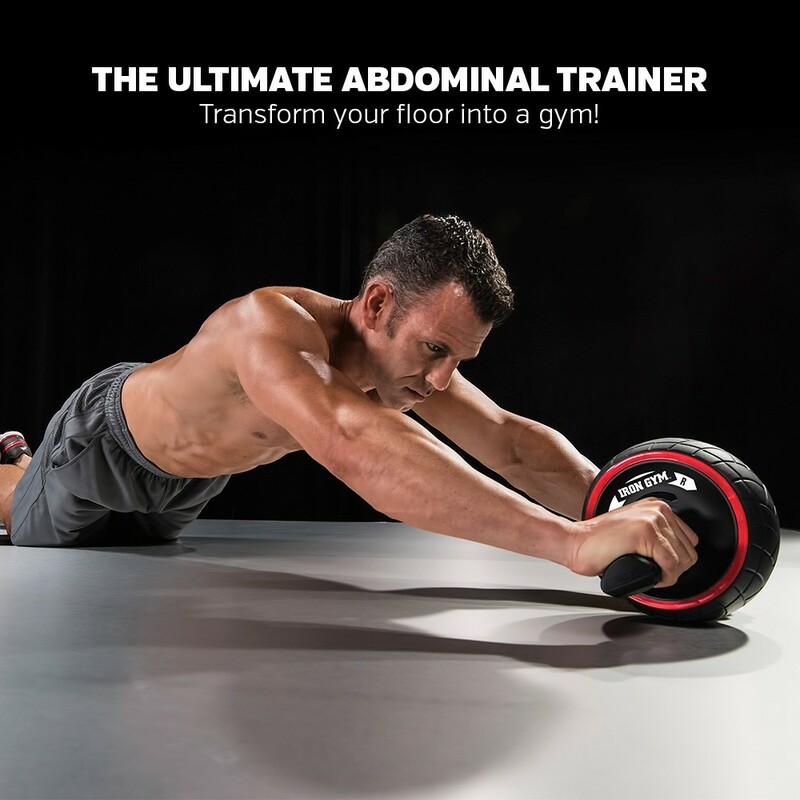 With IRON GYM Speed Abs Internal Assist System, you are able to do longer sets with full range of motion, achieving needed volume and intensity for effective abdominal muscle training. 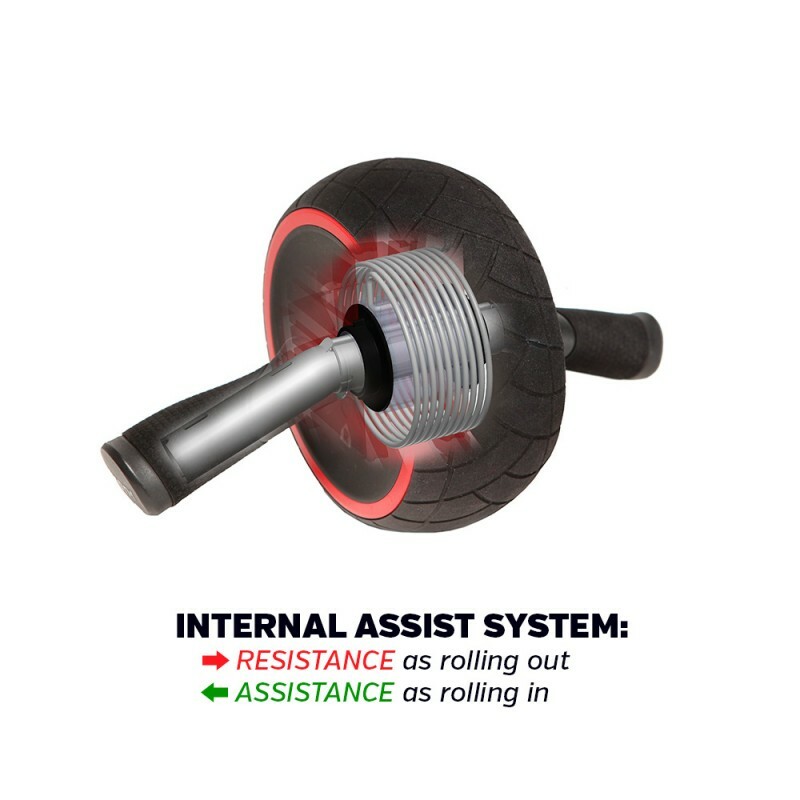 For Beginners: Internal Assist System provides added stability and helps guide and assist you back in a fluid, controlled manner, protecting your lower back from sagging. 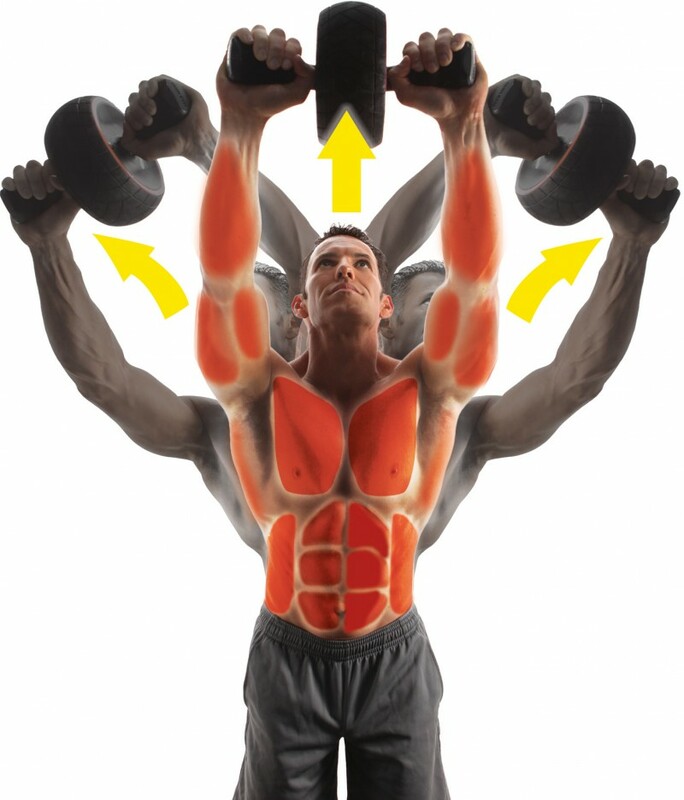 For Advanced Users: Perform longer sets with full range of motion, all the way to the final reps! 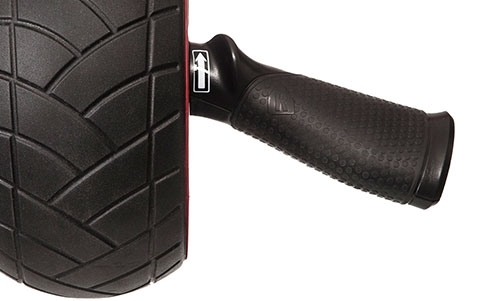 You can easily adjust the provided assistance from Internal Assist System, by pre-winding the wheel (more assistance). 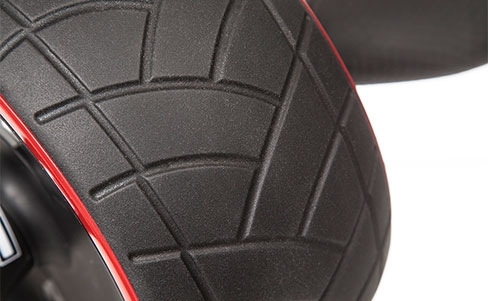 Or If you want more challenge, start rolling a bit further from your body getting less assistance, and feel the burn! 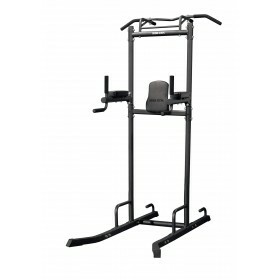 WARNINGS: When using the IRON GYM Speed abs for the first time, it is recommended to start slowly and gradually progress as your core strength increases. More information on training with Speed Abs is available in the personal trainer video, which is available as download with purchase. This exercise is not advised for people with lower back problems or hernias.